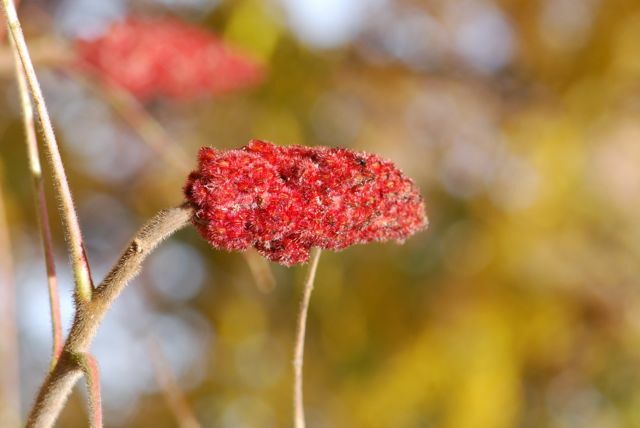 Our red fuzzy mystery drupes from last week were from the staghorn sumac, Rhus typhina. Perhaps you recognize the drupe clusters, sometimes called "sumac bobs." 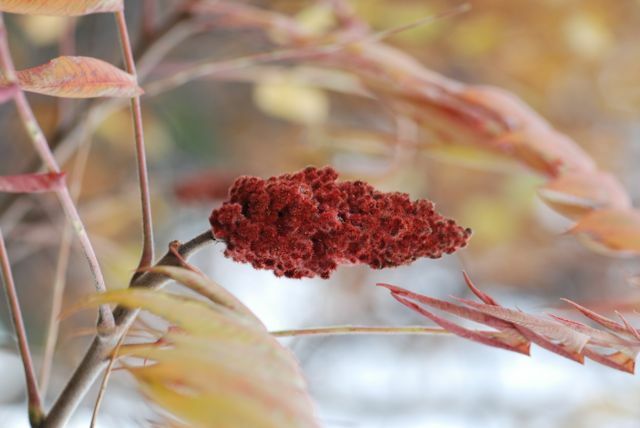 The staghorn sumac grows in old fields and long roadsides throughout eastern North America. It is an interesting plant that hasn't received much attention, although recently some cultivated varieties have been developed for landscape use. 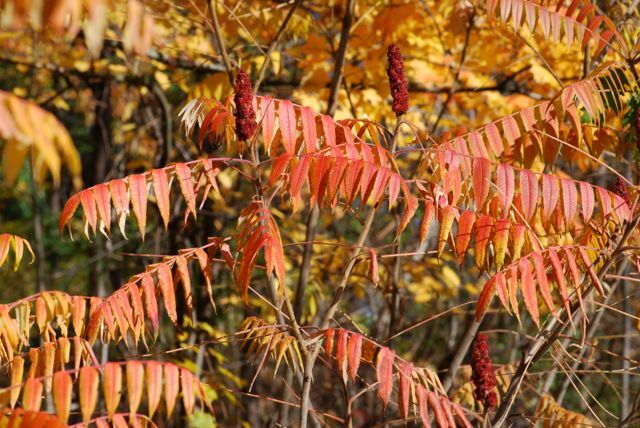 The genus that sumac belongs to, Rhus, also contains some poisonous members. 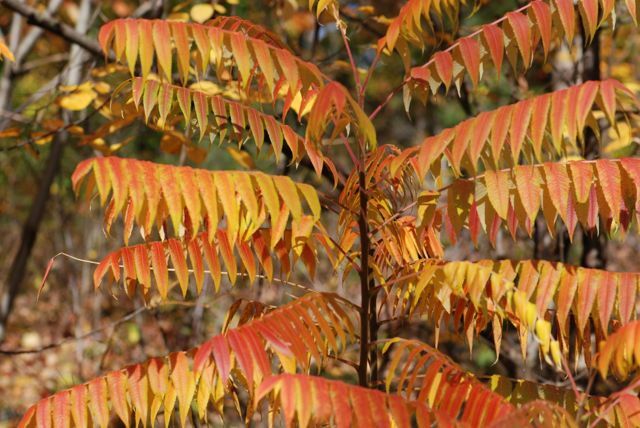 Rhus toxicodendron is the scienctific name for poison ivy and Rhus vernix is poison sumac. 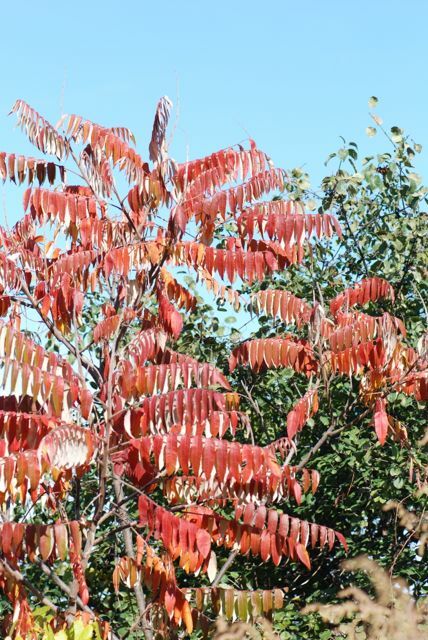 Despite these undesirable relatives, there is some evidence that staghorn sumac may have been eaten by early residents of North America. Why are the fruits called drupes? According to botanists, a drupe is a fruit that has a fleshy outer layer around a pit. The seed is contained within the shell of the pit. 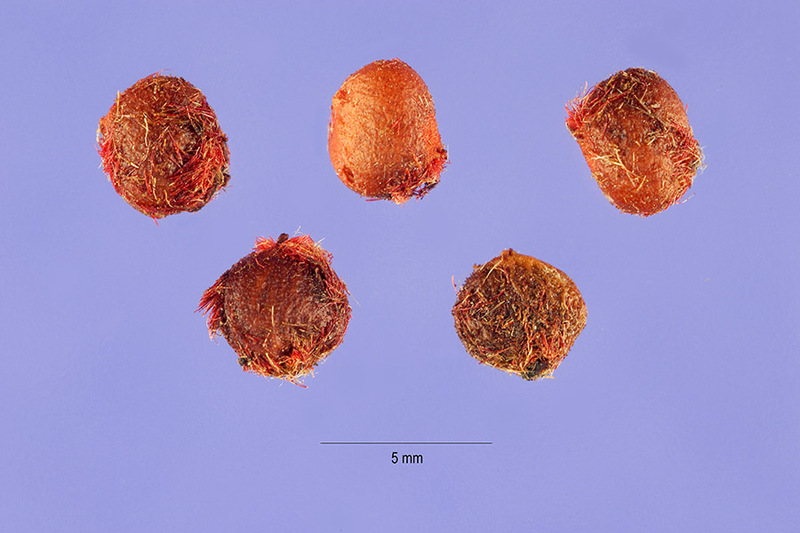 Examples of other drupes are peaches, cherries and olives. 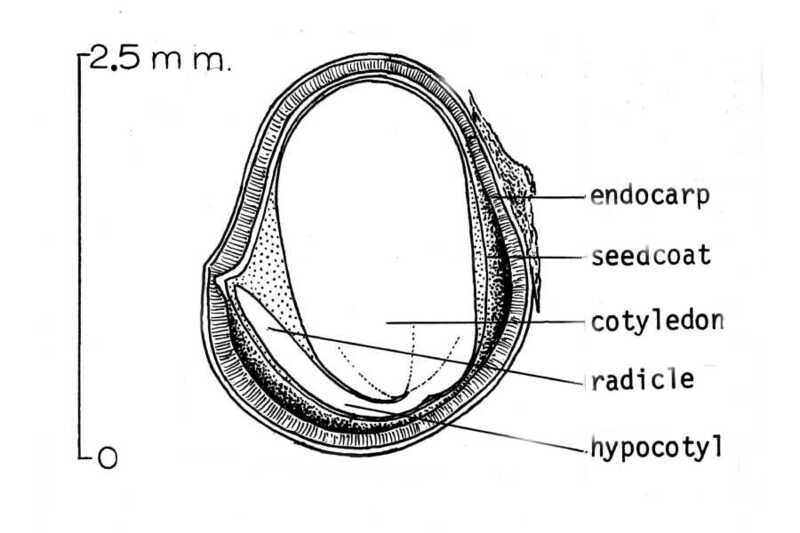 This drawing shows how the seed sits within the endocarp, which is the wall of the "pit"(Source: USDA-NRCS PLANTS Database). 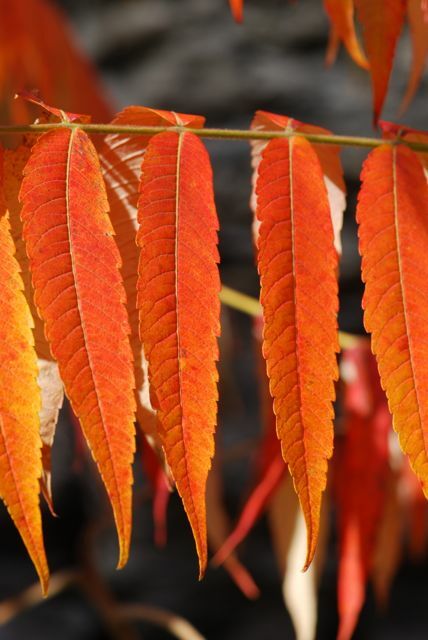 Do staghorn sumac grow where you live? What do you think of them?